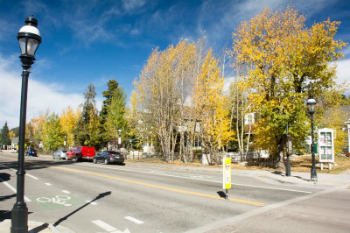 The north end of Breckenridge was re-developed in the ski-resort era later than the south side. Since the '60s new commercial property filled in all the blocks south of Ski Hill Road. Just two blocks north of the central stoplight at Ski Hill and Main Street, Brittany Place real estate is made up of full-size modern homes with a Victorian style that are compatible with the existing historically designated homes remaining on Main and the residential blocks east of it. The northern end of Main Street is quieter than the south end, but still has several great restaurants, ski shops and the gondola. And the free countywide transportation system - Summit Stage - has its Breckenridge hub near the gondola, and just across the street from Brittany Place homes. Another block to the north is City Market, the only supermarket in Breckenridge, and it easily accessed by the bike or pedestrian path that lies on the west side of Main. In addition to being right across the street from the bike path and the gondola, there is also a skyway that is maintained from the ski mountain to town. It finally runs under the road into the gondola parking area. From the Brittany Place community one can ski out via the gondola, ski in via the skyway. The amount of walking involved from Brittany Place is less than many slope-side condos and anything in town is just steps away. The free bus has routes up Baldy Mountain, out to Tiger Road, and on to Frisco and can carry bikes. All of the homes for sale in Brittany Place will have a open floor plan, antique replica windows, a basement and garage and back-alley parking. 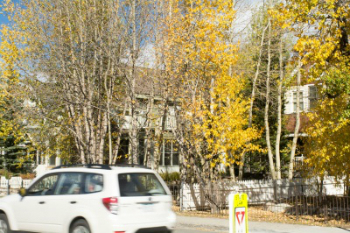 From the traffic circle on the north end of Breckenridge, take the Main Street exit and continue .4 mile and you’ll see the Victorian style homes of Brittany Place on the left. 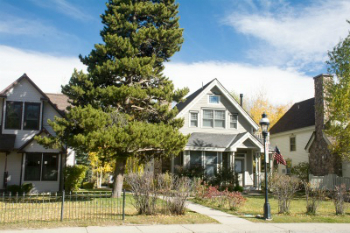 Contact us today to get started on your journey to finding your dream home in Breckenridge.